Stay warm and comfortable while you train in this quality training pant from Canterbury, made from a lightweight and flexible polyester blend and designed to keep you training at your peak for longer. Perform at your peak whatever the weather in Canterbury’s Training Hybrid Pant from our 2019 Vodafone Warriors Training range. Built with a blend of polyester and cotton double jersey, it will keep you warm and comfortable in the most adverse conditions. This elasticated waist tapered leg pant has contrast panels across the back and lower legs and lower leg zips to allow for a customised fit and ease of changing. In honour of the Vodafone Warriors 25th anniversary as an NRL team, it features a commemorative logo on the leg. 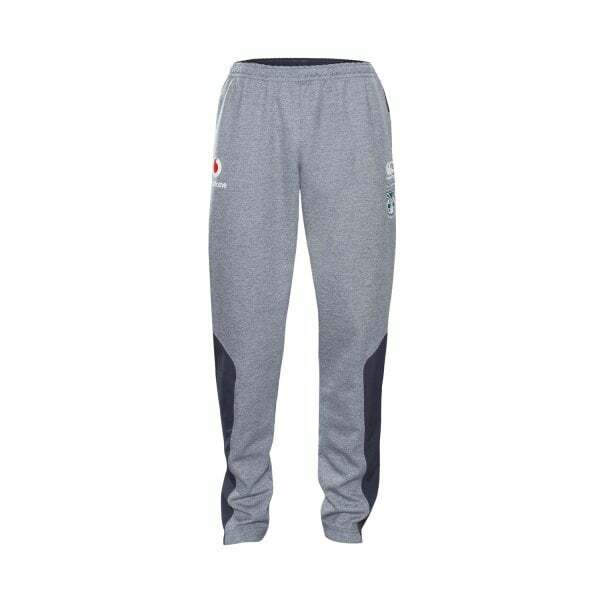 A must-have for serious athletes and active supporters of New Zealand’s national NRL team.